One of the unexpected consequences of my starting this blog has been the number of friends and acquaintances who have shared their own experiences with depression with me. In the cases of many of them, I would have never guessed them to be people who would ever be affected by any type of mental struggle whatsoever. They seemed to be highly confident, outgoing, successful people, but their stories were every bit as real as my own. I just wasn’t around them enough to spot the signs. 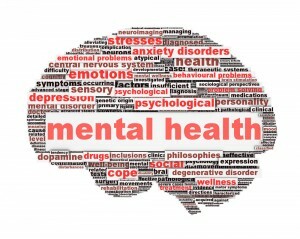 It was with great interest, then, that I read an article today citing a report from the U.S. Substance Abuse and Mental Health Services Administration which estimated nearly 44 million Americans experienced a mental illness in 2013. To further put that number in perspective, that’s approximately one out of every five people. That is an astonishingly high number. So high, in fact, I wondered if it was even correct. As someone who stumbled through a large majority of his life not even knowing what depression was, I am often the first to applaud efforts to shine a light on mental illness and de-stigmatize it as much as possible. 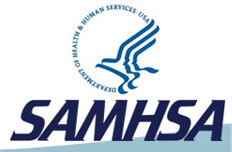 While the SAMHSA report pointed out how large numbers of people never even seek any treatment for their illnesses, however, it also notes that in nearly three-fourths of mental illness cases, the symptoms do not significantly interfere with a person’s ability to function. This leads me to ask a somewhat uncomfortable question: Is it actually becoming too easy for people to claim they have a mental illness? I certainly don’t want to discount anyone’s experience with mental struggles. I just know that in my own life I am deathly afraid of getting to the point where I use my depression as a crutch for everything. “Well, you know, it’s because of my depression…” I mean, I’m already sort of guilty of that now, and I find myself slipping into that defense much too easily. Could, then, these extremely high numbers indicate that maybe some people are confusing some of the normal bumps in the road of life with mental illness? It seems to be more acceptable in this day and age to admit to struggling with a mental illness. I was extremely worried about starting this blog, but I haven’t experienced any noticeable negative effects from it yet. I haven’t noticed anyone shunning me in public or crossing to the other side of the street when they see me. It’s actually opened some doors, in a way. With that in mind, it might be easier for someone who, for instance, isn’t very organized to say, “I think I have Attention Deficit Disorder” or for someone who gets nervous driving to say, “I have anxiety issues.” Is it becoming to easy to attach labels? There is a certain amount of fighting involved in dealing with mental illness, but there is also a certain amount of fighting involved in just getting through everyday life. I worry when so many people are believing their minds are different from everyone else’s. Everyone has their own issues; that doesn’t necessarily mean everyone has a mental illness. There are definitely those who have issues requiring extra assistance or counseling, but there are also those who are just working through all the things we all have to work through. Again, I don’t say any of this to diminish anyone’s experiences. Maybe my concern is more personally rooted. I don’t want to reach the point where the illness defines me. I was diagnosed with a form of depression, but I don’t need to have that printed on my business cards. We don’t need to become a nation that believes it’s all messed up in the head. Awareness is one thing; over-acceptance is another.